How are state leaders adapting their citizen-building strategies for globalization? What outcomes are they achieving, and why? 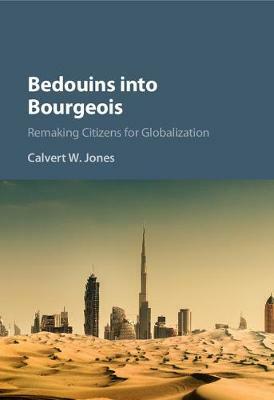 Bedouins into Bourgeois investigates an ambitious state-led social engineering campaign in the United Arab Emirates, where leaders aimed to encourage more entrepreneurial, market-friendly, patriotic, and civic-minded citizens. Extensive ethnography - including interviews with a ruling monarch - reveals the rulers' reasoning and goals for social engineering. Through surveys and experiments, social engineering outcomes are examined, as well as the reasons for these outcomes, with surprising results. This fascinating study illustrates how social engineering strategies that use nationalism to motivate citizens can have paradoxical effects, increasing patriotism but unexpectedly discouraging or "crowding out" development-friendly mind-sets.